"Oh, Dakuwaqa!" 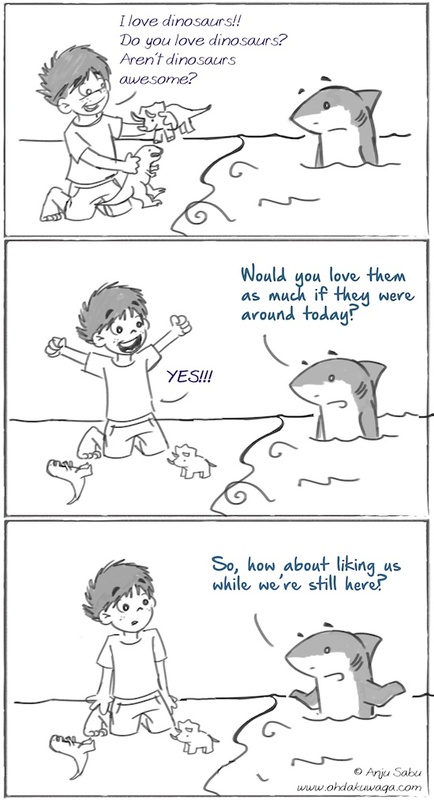 - The Shark comics and cartoons: If you love me (let me be)! If you love me (let me be)! 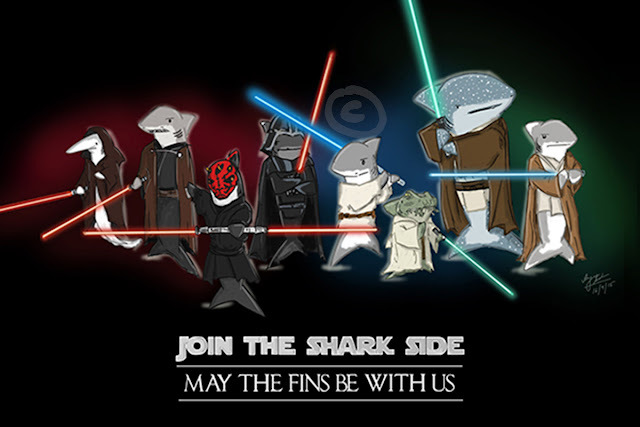 Would people love sharks better if they were extinct? It's a bit sad that we tend to like what we can't really get back. It would be a better idea to love them now so that their chances of becoming extinct reduces. Don't let me go extinct and then love me! I don't need your post-existence love. Hmpf.